Most people will have parts of their body that they would like to tone so they can dropping a dress size or reduce the love handles. This is the case even for people that eat a healthy diet and exercise regularly. As we age our metabolism slows down and some just have the genetics to store fat in problem areas only. In fact over 1000’s of years our body evolved to store extra fat for the times of scarcity. In today’s time of plenty our body hasn’t adjusted to this new world of excess and processed food within reach of most. The Velashape III, CoolSculpting and UltraShape are some of the options available today, all of which are TGA approved for the use in Australia. We examine the causes of excess fat and how different devices work to reduce its appearance. We also look at the devices approved for contouring of the hips, tummy and thighs to smooth out lumps and bumps that you may not have been able to shift through diet and exercise alone. Velashape III is also an effective treatment post liposuction surgery to fine tune any areas liposuction could not remove and to tighten the skin post surgery. 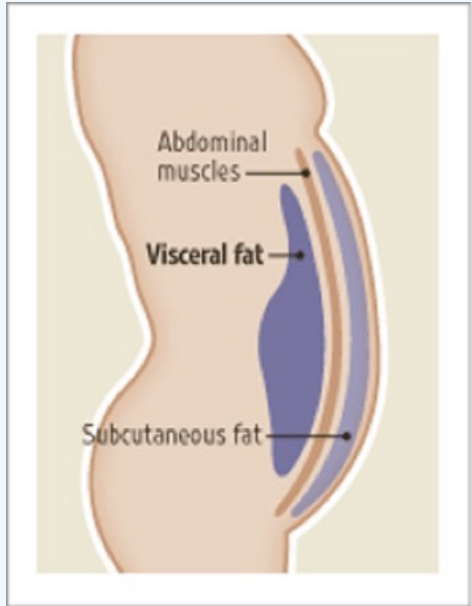 Fat, or adipose tissue, is made up of fat cells (80%) and connective tissue (20%) to keep the fat cells grouped together. Fat cells store and release fat that the body can convert into energy as it is needed. If we consume more energy (in the form of calories from food) than the body can use, excess energy is stored as fat in the fat cells. The fat cells swell as they take in more and more fat, gradually increasing the volume of the fat tissue, and therefore our weight and size as the fat tissue expands. This is a natural evolutionary process humans adapted to store fat during months of scarcity to provide enough energy to hunt for later use. Men commonly store the fat around the trunk mainly around the front belly and back flanks. Women commonly store it around the thighs and waist. What Is Non-Surgical Liposuction Or Body Sculpting? Also called body sculpting is a non-invasive procedure, which means that it is performed on the surface of the skin, rather than under the surface, as is the case with liposuction, which is a surgical procedure. Liposuction removes the fat cells so they can no longer fill with fat stored by the body. Velashape III treatments (also very good for cellulite) heat the internal fat tissue to around 65oC to 70oC to release the energy in the form of triglycerides (emptying the fat cells). Other treatment options are a more permanent option like UltraShape or (freezing the fat, also called cryolipolysis) The Velashape III also provides deep tissue massage to improve the circulation to remove excess fluid from the localised area. The deep heating of the area also stimulates new collagen production to improve skin texture, firmness and elasticity. Methods that release the fat inside fat cells provide long-lasting, but not permanent, results and require maintenance treatments every 6-18 months to get the most benefit. The Velashape III is the only procedure that treats cellulite and skin firmness and elasticity in addition to reducing the size of localised fat deposits. The Velashape III is a unique, non-invasive deep therapeutic body contouring treatment system. It is safe, effective and produces little or no discomfort. Treatments last between 20 and 60 minutes and you can go back to work or your normal routine immediately after treatment. While liposuction is the most effective method to permanently remove unwanted areas of excess fat, it is an aggressive and invasive surgery that carries risk of complications and side effects. Liposuction requires sedation or localised anaesthesia, and requires several weeks of recovery time and wearing of compression garments for up to 6 weeks. Liposuction is also costly, ranging from around $4000 for one treated area, over $10,000 for more than three treated areas. Some patients are unable to undergo liposuction surgery for medical reasons, and others may not have enough fat to justify invasive surgery. Difference Between Fat Reduction and Fat Destruction – There are many different non surgical alternatives to liposuction available, using various forms of energy – radiofrequency, ultrasound, light (lasers). These treatments have been developed to selectively target fat cells, leaving the surrounding tissue unharmed. Some of these treatments heat the fat cells to a point where they release the stored fat, which is then eliminated from the body. The fat cells shrink, so that the treatment area also reduces in size. While these treatments are safe and temporarily effective, the fat loss is not permanent and ongoing maintenance treatments are required. Some treatments actively destroy the fat cells in the treatment area, which means the fat loss is much longer lasting, or even permanent with a healthy diet and lifestyle. These treatments are also effective, but some of them can be painful and so haven’t gained as much popularity as was expected. Cryolipolysis is one technique that destroys fat cells, but unlike the other non surgical fat treatments, the mechanism is cold, rather than heat. Cryolipolysis literally means cooling the fat cells to death – Cryo (cold) – lipo (fat) – lysis (cell death). Cryolipolysis has been proven to be safe, effective and virtually painless. You can walk out of the clinic and get back to your normal routine as soon as your treatment is finished. By comparison using the Velashape III is painless, is extremely low risk and has no down time. You can return to work or your normal routine immediately after your treatment. A program of 4 sessions around 2 weeks between each is recommended for optimal cellulite reduction, skin tightening and body contouring. An option for a single, longer treatment (VelaOnce) for body contouring may be more convenient for busy people or for those preparing for a special event, such as a wedding or a holiday. Costs of Velashape III treatment are considerably lower than liposuction surgery (between $800 and $3000 depending on the size and number of areas). For an example see how much does Coolsculpting in Perth cost. Depending on the device you choose, you can contour your stomach, waist, upper and lower back, hips, bottom, and thighs for body contouring and cellulite reduction. The jaw line, neck, double chin and back of arm areas can also be targeted with a smaller applicator for body contouring. For best results, 4 sessions two weeks apart will give you the maximum benefit, and then one maintenance session every 6-12 months is recommended. Most treatments are around 60-70 minutes depending on how many areas you are having done. The number of sessions required varies from person to person, but in most cases you will see a result after the first treatment. From there you will notice a difference up to 12 weeks after as your body continues to break down fat cells. There are two different types of treatment devices, those that permanently reduce your fat and those that temporarily reduce. If you have a permanent treatment then you will not gain fat back in these areas, however if you lead an unhealthy lifestyle you will gain fat in other areas of your body. Are any risks or side effects to be expected? You may experience some redness or bruising after your treatment, but it normally goes away in a few hours. Other side effects or complications are very rare. No, there are no devices that require you to visit a hospital, all are administered in the comfort of a clinic. Most people don’t find the treatments at all painful. Treatment is usually described as similar to a warm deep tissue massage for VelaShape or UltraShape and like having an ice pack on you for CoolTech.